The chat will take place every 2nd and 4th Thursday of the month so bi-weekly at 8 p.m. central time. You can also use the hashtag between chats to share what you are doing with AR in your classroom as well as asking questions. I have a few friends that are helping me out with the chat and watching the hashtag, so please post often. 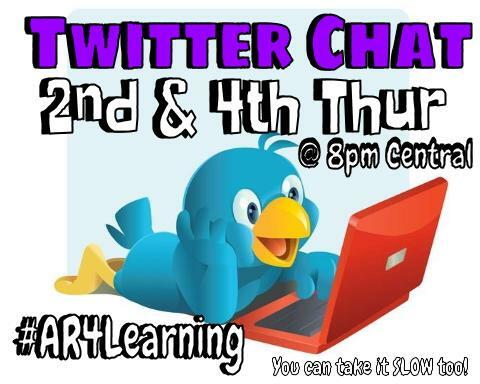 On July 23rd we hosted our very 1st #AR4Learning Twitter Chat. Now when you start something new you never really know if others will catch on and join you. I've been using this particular hashtag for almost a year. If you go back through the hashtag history you will notice it is normally me posting to it. I was so nervous starting this chat. My biggest fear was that I start this chat and I am the only one on and participating. I decided to go for it anyway, if I am the only one talking oh well I am use to talking to myself anyway. When your a mom to teenage boys you at least feel like your talking to yourself a lot. I have to say the chat was a success. We had people from all over joining in asking questions and participating. I was on cloud nine when the chat was over, which for me it really wasn't over. I had so many people sending messages, asking questions, wanting information and etc... I ended up staying online talking with people in private message, Twitter, and etc... until midnight. I love to connect, learn, and share so if you send me messages I will do my best to answer them as quickly as possible. If you want to stay up to-date with our Twitter Chat, Google Hangouts, resources, and so much more feel free to join our Google+ Group Augmented Reality for Education. In the group you can find our next events being a chat or a hangout. There are tons of resources as well as the archived chats and hangouts. I even have a Remind class you can sign-up and be reminded on when the chats and hangouts are. 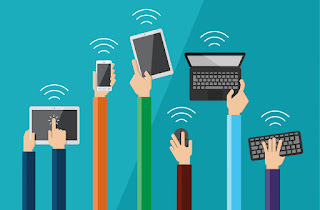 My goal is to help others get connected, learn, and to share. My dream goal is to get #AR4Learning trending in the world of Twitter. I also wanted to give a BIG THANK YOU to those who helped out with the chat and helping make it successful! Without your help and support this wouldn't be possible so Thank YOU!